Cystadane powder is used for treating homocystinuria. Cystadane powder is a metabolic agent. It works by decreasing blood levels of homocysteine. Some MEDICINES MAY INTERACT with Cystadane powder. However, no specific interactions with Cystadane powder are known at this time. 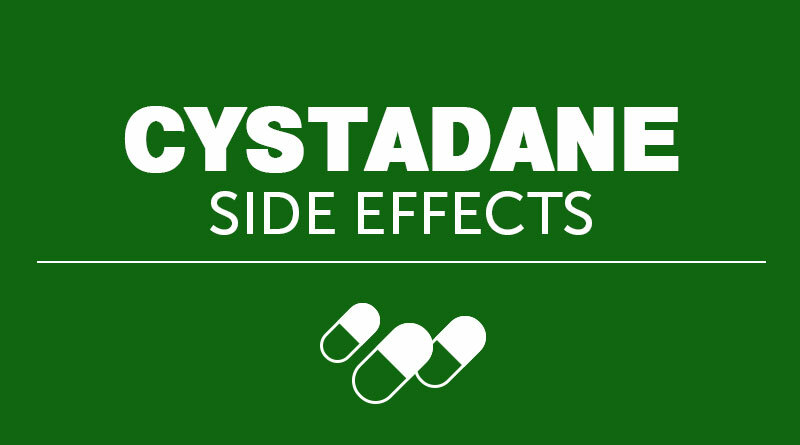 Ask your health care provider if Cystadane powder may interact with other medicines that you take. Check with your health care provider before you start, stop, or change the dose of any medicine. Use Cystadane powder as directed by your doctor. Check the label on the medicine for exact dosing instructions. Take Cystadane powder by mouth with or without food. Shake the bottle gently before removing the cap. Use the scoop that comes with Cystadane powder to measure your dose. Ask your pharmacist for help if you are unsure of how to measure your dose. Mix the prescribed amount of medicine with 4 to 6 ounces of water, juice, milk, or formula until it is completely dissolved. You may also mix Cystadane powder with food. Swallow the mixture right away. Replace the cap tightly after each dose. If you miss a dose of Cystadane powder, take it as soon as possible. If it is almost time for your next dose, skip the missed dose and go back to your regular dosing schedule. Do not take 2 doses at once. Ask your health care provider any questions you may have about how to use Cystadane powder. Lab tests, including homocysteine and methionine blood levels, may be performed while you use Cystadane powder. These tests may be used to monitor your condition or check for side effects. Be sure to keep all doctor and lab appointments. PREGNANCY and BREAST-FEEDING: It is not known if Cystadane powder can cause harm to the fetus. If you become pregnant, contact your doctor. You will need to discuss the benefits and risks of using Cystadane powder while you are pregnant. It is not known if Cystadane powder is found in breast milk. If you are or will be breast-feeding while you use Cystadane powder, check with your doctor. Discuss any possible risks to your baby. Store Cystadane powder at room temperature, between 59 and 86 degrees F (15 and 30 degrees C). Store away from heat, moisture, and light. Do not store in the bathroom. Keep Cystadane powder out of the reach of children and away from pets. If you have any questions about Cystadane powder, please talk with your doctor, pharmacist, or other health care provider. Cystadane powder is to be used only by the patient for whom it is prescribed. Do not share it with other people. This information should not be used to decide whether or not to take Cystadane powder or any other medicine. Only your health care provider has the knowledge and training to decide which medicines are right for you. This information does not endorse any medicine as safe, effective, or approved for treating any patient or health condition. This is only a brief summary of general information about Cystadane powder. It does NOT include all information about the possible uses, directions, warnings, precautions, interactions, adverse effects, or risks that may apply to Cystadane powder. This information is not specific medical advice and does not replace information you receive from your health care provider. You must talk with your healthcare provider for complete information about the risks and benefits of using Cystadane powder.